Meningiomas represent about one-third of all primary brain tumors. Most meningiomas are benign and grow slowly, so by the time you experience symptoms, the tumor is large. 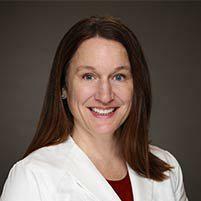 Dr. Carrie Shulman at The Florida Center for Minimally Invasive Neurosurgery specializes in identifying meningiomas, which are often hard to diagnose, and she performs minimally invasive surgery to remove the tumor. At the first sign of symptoms, please call the office in Clearwater, Tampa Bay, Florida, or book an appointment online. A meningioma is a tumor in your brain. It’s the most common type of benign, or non-cancerous brain tumor, although an estimated 2-3% become cancerous. Benign meningiomas can become quite large, compressing brain tissue, nerves, and blood vessels in the area. Depending on where the tumor is located, it can cause disability and become life-threatening. Meningiomas are named for the fact that they develop from the meninges, which is a layer of tissues that surround your brain and spinal cord. The meninges normally protect your brain and carry blood vessels and cerebrospinal fluid. What are the symptoms of meningioma? Meningiomas usually don’t cause symptoms until they become large, then the symptoms that arise depend on the size of the tumor and its location. Most patients develop one meningioma, but it’s possible to have several tumors at the same time in other parts of the brain or spinal cord. There are 14 different subtypes of meningiomas, based on tumor location, and each one can cause unique symptoms. How is a meningioma treated? The only way to cure a meningioma is with surgery. Depending on the location of the tumor, Dr. Shulman may be able to perform minimally invasive surgery, which allows the tumor to be removed with little disruption to surrounding tissues and structures. Minimally invasive procedures for meningioma are performed using a small incision made in areas like your nose and small openings in the bones behind your ear or eyebrow. When considering surgery, Dr. Shulman precisely evaluates your tumor to be sure your neurological function is preserved or improved following the procedure. In some cases, Dr. Shulman may recommend leaving the tumor in place while closely monitoring your health and tumor growth. If you develop a persistent headache or other symptoms of meningioma, call The Florida Center for Minimally Invasive Neurosurgery or schedule an appointment using the online booking feature here on the website.